Happy Cyber Monday everyone! Did you find any good deals today? I was online ALL DAY shopping for Christmas presents and found something for almost everyone on my list. Phew! Here is one deal that is too good not to share! Shoot Fly Shoot is offering 50% off their photography classes today. Their courses are what I have used over the years to improve my shots and I’m a Shoot Fly Shoot affiliate because I love their classes so much. 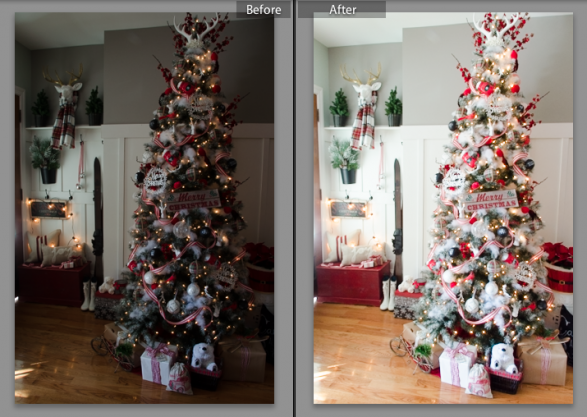 Below is a very recent example of what I’m able to do with my pics thanks to their course on Lightroom! I highly recommend the Photog 101, 102 and Lightroom course if you’re looking to improve your photography this year. I purchased that course 2 years ago and have yet to do it. Thanks for reminding me about it! I did zero cyber Monday shopping. Missed opportunity?! I was too busy working on Christmas crafts 🙂 Today I dropped off a tutorial to make ornament trees out of paper straws. Happy December! Hi Beth, thanks for Tutorials and Tips 236. Appreciate visiting and joining in.